Maven is turning this page over to her Aunt Battie's assistants: Slo, Mo and Larry! Maven will be getting the treats ready over at RECIPES OF THE WEEK. So get your favorite treat sit back and get ready . . . for Halloween Tricks! To be exact it's http://tommenterprises.tripod.com/id121.html. The Bats and Spiders and Boa Bat could be made into mobiles . . . make several of both/either and follow the directions for the Bat Mobile. 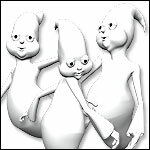 And Maven would like to help celebrate Halloween by adding some stories about haunted - truly haunted! 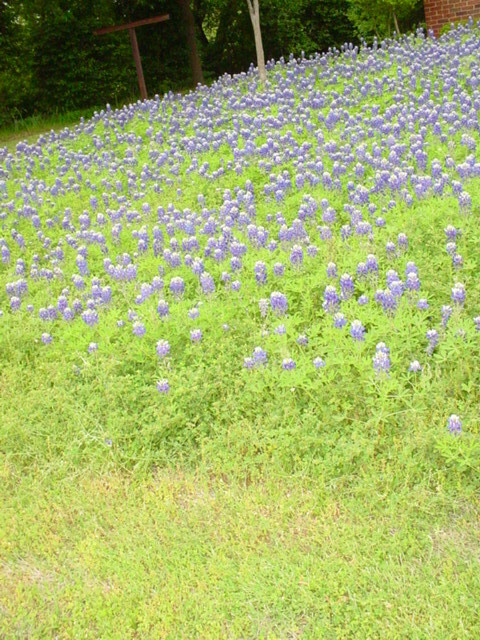 - places in Texas, including a couple of stories set in her hometown of Fort Worth, Texas . . . Thistle Hill! Hollywood has haunted houses all the rest of the year . 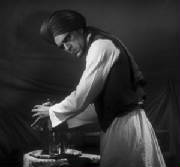 . . check out the bootiuful stories at HAUNTS: Hollywood and Elsewhere, not to mention the haunting stories of the actors in BIOGRAPHIES! This is a great treat for Halloween that Maven came across that includes a second verse that she never heard. . . . 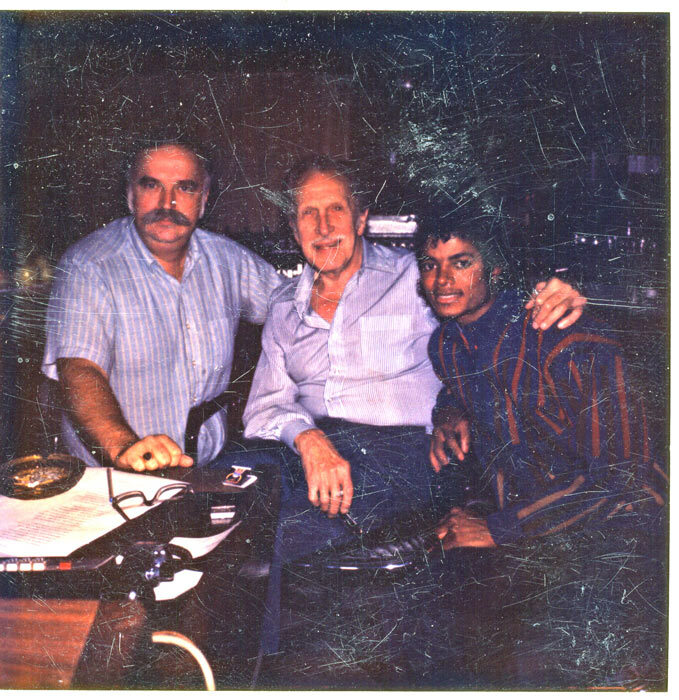 It's Vincent Price's rap session for Michael Jackson's Thriller. Tremendously ghoulish fun from first rate artists! 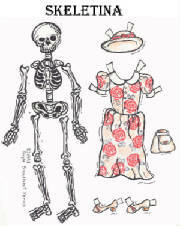 And if you're not up to being "Thriller-ed" then check out the rest of the page with your tour guide, Skeletina (courtesy of www.skyglass.com/gayle/skeletin.jpg)! Need some music to help get - or keep - you "In the Mood"?! 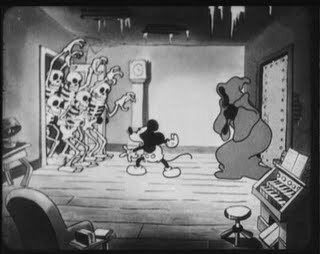 Would you believe that Mickey Mouse visits A Haunted House (1929) with skeletons in Murphy beds, skeleton legs dancing . . . ! What fun! http://www.youtube.com/watch?v=s8LiPoIpxnk. will be here in little more than two months! 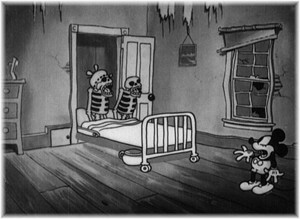 Mickey Mouse visits A Haunted House (1929) skeletons in Murphy beds, skeleton legs dancing . . . ! What fun! http://www.youtube.com/watch?v=s8LiPoIpxnk. Maven is bringing back old issues of her magazine from the archives in hopes you'll enjoy the blasts from the past! And check out these other pages! WHAT'S MY LINE? - Yes, What's My Line! You'll find Alfred Hitchock, Vincent Price and Peter Lorre among others! Are you ready for some fiendishly good movies?